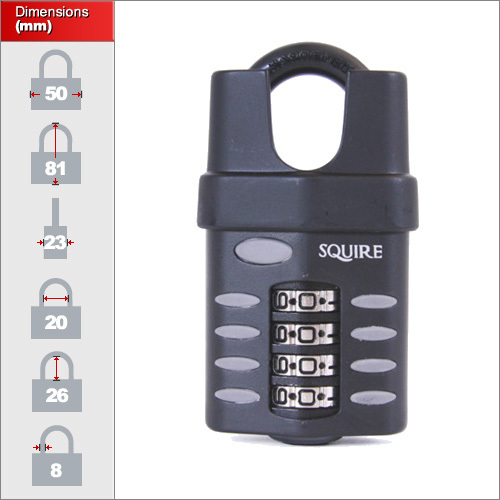 A solid closed shackle 4-digit combination padlock where security and convenience are required. The die cast steel body has an 8mm hardened steel shackle giving it the added protection where a smaller combination padlock would fail. The closed shackle design makes it difficult for bolt cutters and hack-saws to reach the most vulnerable part of the padlocks, the shackle. 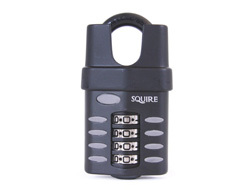 The padlock has a set of 4 dials with a possible 10,000 combinations and is resettable to your choice of code. There is only one size in this range but we do hold a closed shackle version also.